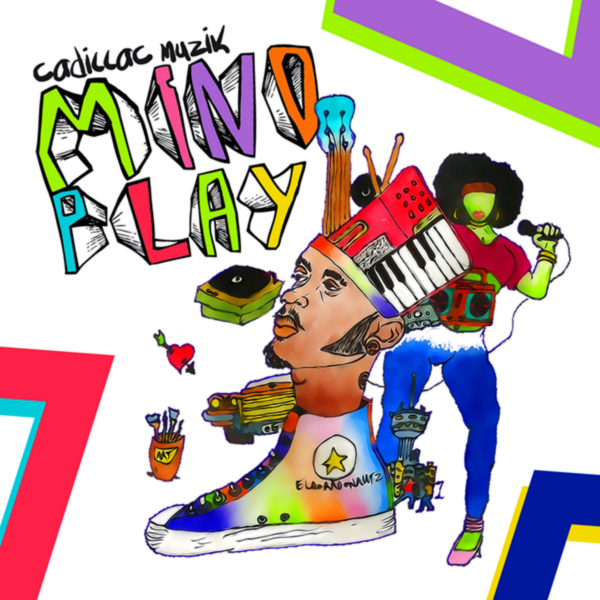 Cadillac Muzik brings positivity, passion and a game-changing funk to your speakers with their singles ‘Mind Play’ and ‘Vibration’, released on their own label Bona Fide Mindz Entertainment. The Hip-Hop duo wants their music to be a positive, empowering social influence. They want anyone who is living in a negative environment to play their music and find the inner strength to change the way they’re living for the better, no matter how difficult that may be. They do so using brilliant, soulful beats and powerful vocals. Like many southern Hip-Hop acts, the duo is influenced by the pioneering Dungeon Family, particularly by Outkast and the Organised Noize production which underpinned much of their success. The chords and vocals on ‘Mind Play’ will immediately bring this sound to Hip-Hop fans’ minds. However, Cadillac Muzik pioneers in its own way, mixing this influence with Hip-Hop from across America, Pop royalty such as The Beatles and Rock icon Jimi Hendrix. Band members Beseja “Caddymack” Moses and Scott Campbell, created Cadillac Muzik, not simply because they love music, but because they want their sound to make an indelible mark on Hip-Hop culture. Numerous well-established artists are taking note of their talent. Cypress Hill, Lil Boosie and The Temptations are just a few of the acts Cadillac Muzik has opened for, as they proudly represent Texas will their marvellous music. However, Cadillac Muzik does not only excel at production. Imaginative lyrics such as ‘my heart’s so cold, I’m rocking a chinchilla’ give an excellent justification for wearing more layers outside, while celebrating the duo’s success and distinctive style. They refuse to allow others to stand in the way of their progress. Such lyrics distinguish their latest single ‘Mind Play’ as a unique and extremely enjoyable track. These fun and energetic vibes are present on the earlier ‘Vibration,’ released in 2016, which should immediately become the soundtrack to your party, if it isn’t already. When asked why they chose ‘Cadillac Muzik’ as the name for their group, Beseja and Scott said ‘the best way to discuss our style is luxurious like a Cadillac. You don’t have to put rims on a Cadillac, you can ride it ORIGINAL!’ Their music is some of the most original Hip-Hop you will find today. Like a Cadillac, their sound is about to glide onto the charts with impeccable style.